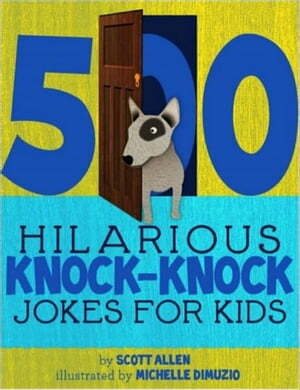 Collins Booksellers - 500 Hilarious Knock-Knock Jokes For Kids by Scott Allen, 1230001501827. Buy this book online. Jude be crazy not to buy this uproarious knock-knock joke collection for your kids! After all, kids can't resist the silly, giggle-inducing allure of knock-knock jokes. This book is crammed with 500 knock-knock jokes—alphabetized according to the “who’s there” that’s doing the knocking—that are guaranteed to send your kids into ear-splitting, knee-slapping frenzies of laughter!